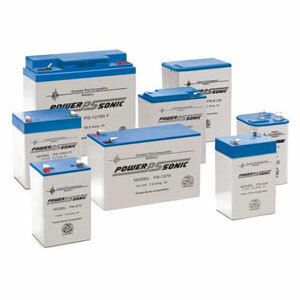 Our Power Sonic range of batteries are amongst the best selling that we supply. Power Sonic have over 38 years industry experience and all their batteries are CE approved. The float Service Life, or life expectancy under continuous float charge at 2.25vpc at 20 deg is 5 years for batteries up to 26ah and 10 years for batteries with capacities greater than 30 ah.